Global Mindset presents its 12th thought leading conference on Assessment and Learning on 29 Oct 2014. 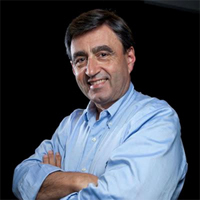 The keynote is by Eric Mazur, Professor Physics Harvard, recipient of Minerva Prize. "Eric Mazur's innovative thinking has been disruptive in the best sense of the word. He has used a scientist's mindset to formulate and perfect a new approach to teaching that complements what we already know about how students learn. That's catching on internationally because it prepares graduates to engage with difficult problems beyond the classroom walls". On 29 October we look at an educational ecosystem moving from a set curriculum based around printed texts to evolving lifelong learning increasingly provided in digital modes. At the same time we are moving from a “job for life’ to numerous occupations. How do current assessment frameworks in Schools, Vocational Training Institutes, Corporate Training Academies, and Higher Education support this new paradigm? How should they change?? And where will we go to learn after school? Boot camps, lean start-ups, jobs where employers provide extensive induction training and customised degree modules via MOOC’s, colleges and universities. There are over 20 education leaders and local educational technology founders presenting at this conference. Workshops explore case studies from schools, skills training organisations and universities using live feedback, authentic collaborative problems, automated assessments, adaptive learning, interactive overlays applied in Bring Your Own Device (BYOD) cloud based environments. What is the relationship between Assessment and Learning? Is there an inherent conflict between teacher as Assessment judge and teacher as Learning coach? What does Industry think of Qualification and Assessment? Is it possible to fairly assess real life problem solving? Do educators need additional skills training to make sense of and use the avalanche of student and class data to personalise and differentiate each student’s learning? Given the importance of developing localised skillsets for specific job vacancies, should we be looking at the vocational accreditation process differently so it also reflects feedback from employers hiring graduates and finishing students?